“I will also have some current members of Congress join me to share their perspectives on bipartisanship and how our political system needs to change,” he added. 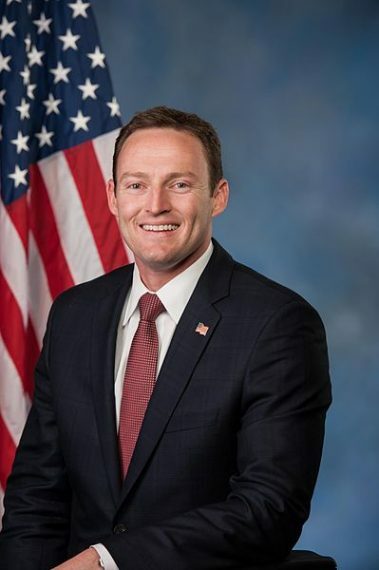 Murphy represented Florida’s 18th District from 2013 to 2017. He was a member of the Committee on Financial Services, as well as the Permanent Select Committee on Intelligence and the Subcommittee on the National Security Agency and Cybersecurity. Murphy’s accomplishments range from helping to secure nearly $2 billion in Everglades restoration funding to introducing the bipartisan SAVE Act (Savings, Accountability, Value, and Efficiency) and reducing government spending. He was a member of the bipartisan United Solutions Caucus, earning a reputation for his independent voting record. In 2017, Murphy joined the non-profit Future Forum Foundation as chairman, where he works to address the economic problems millennials face today. Senior fellows at the Green School devote their two-year residence to research, teaching and the creation of new engagement opportunities for students. Current fellows include David J. Kramer, a former Assistant Secretary of State under President George W. Bush; Saif Y. Ishoof, FIU’s vice president for engagement and former executive director of City Year Miami; and Mark Medish, former special assistant to President Bill Clinton and former senior director on the National Security Council. Former fellows include U.S. Senator Marco Rubio and Kimberly Green, president of the Green Family Foundation.